Whether playing a solo recital or a concerto with orchestra, Neal Berntsen’s solo performances are engaging and enlightening. He has presented solo recitals around the world. Mr. Berntsen’s solo recital performances range throughout the entire trumpet repertoire and often contain multi media elements. His eclectic repertoire combined with his engaging personality offer a performance experience designed to appeal to a wide range of people. Equally at home in the concerto repertoire, Neal Berntsen’s performances have ranged from J.S. Bach’s Brandenburg Concerto No. 2 to the Haydn Concerto in E flat to A Carmen Fantasy by Frank Proto -with many stops in between. His recently released solo album Trumpet Voices demonstrates his versatility and is available on Four Winds Records. 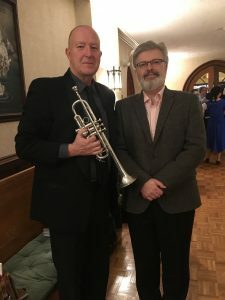 Mr. Berntsen’s 2016 world premier solo release of Reza Vali’s ANCIENT CALL for micro-tonal trumpet and Orchestra was conducted by Kieth Lockhart, Artistic Director of the Brevard Music Center. The piece incorporates the Persian Scale using quarter-tones. Mr. Berntsen performed the piece on a specially modified vintage Mt. Vernon Bach C Trumpet, which enabled him to execute the Persian quarter tone scale. 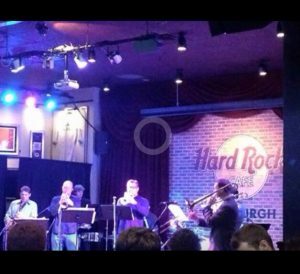 In the summer of 2015 Mr. Berntsen premiered and recorded THE ANCIENT CALL for micro-tonal trumpet and orchestra written by Iranian-American composer Reza Vali at The Brevard Festival. The world premier was conducted by Kieth Lockhart, conductor of the Boston Pops and Chief Guest Conductor of the BBC Concert Orchestra. The piece incorporates the Persian Scale using quarter-tones. Mr. Berntsen performed the piece on a specially modified vintage Mt. Vernon Bach C Trumpet, which enabled him to execute the Persian quarter tone scale. 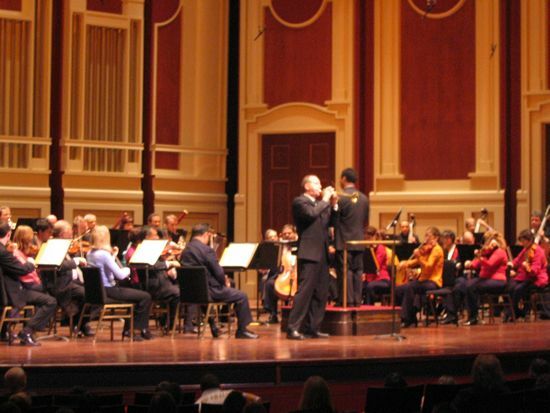 Neal Berntsen performing the Haydn Concerto in E flat with the Pittsburgh Symphony Orchestra at Henz Hall, Pittsburgh.